“Andrew Jackson Downing creates a landscape plan for the Mall ,” Histories of the National Mall, accessed April 23, 2019, http://mallhistory.org/items/show/205. 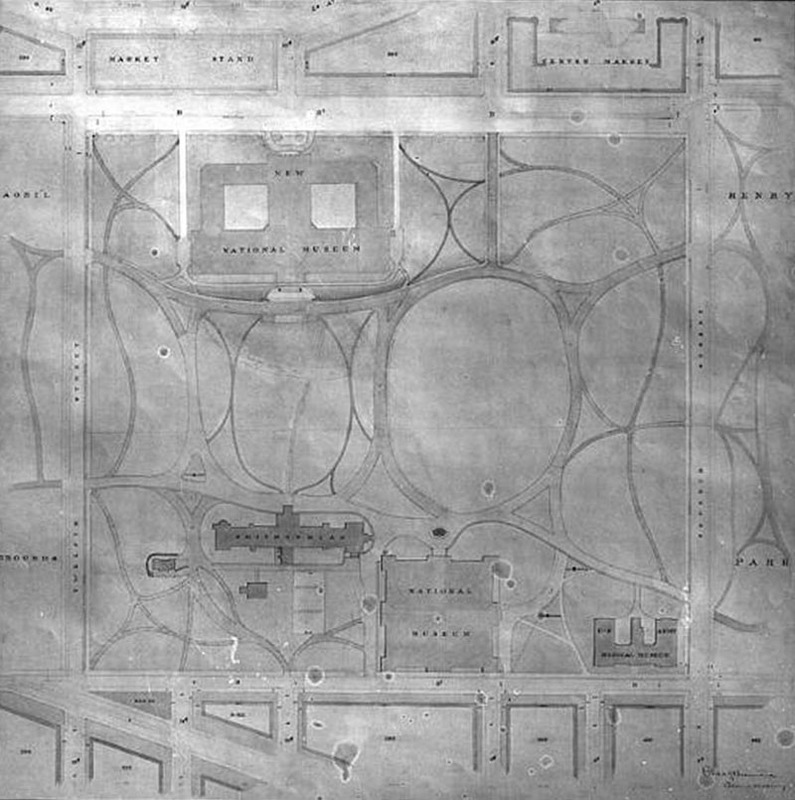 In 1850 President Millard Fillmore asked Andrew Jackson Downing, the nation's preeminent landscape gardener and advocate of a rural American style, to design the landscaping for the largely undeveloped National Mall and Smithsonian grounds. Downing’s plan departed from the classic design originally planned for the Mall. A champion of public parks, Downing created a plan which connected four different, but compatible, garden spaces extending from the Capitol to the Washington Monument and using flora and fauna indigenous to the US, created a public museum of living trees and shrubs. Congress failed to allocate funds, however, and Downing’s plan never materialized.